In 2002, Mayor Michael Bloomberg won control over New York City’s public school system. In a controversial move, he appointed Joel Klein as its leader. A career lawyer, Klein found himself at the helm of what many considered a sinking ship. Over the next eight years, he implemented an aggressive series of changes aimed at increasing accountability and improving performance. He clashed with the teachers union as he took on the issues of evaluation and tenure. He closed down scores of failing schools, opened more than 100 charter schools and championed a data-driven approach to reform that spread to cities throughout the country. Joel Klein joins us to talk about what it takes to improve public education in the United States. Joel Klein Former chancellor of the New York City Department of Education and current CEO of Amplify, the education division of News Corp.
Excerpted with permission from “Lessons of Hope: How to Fix Our Schools” by Joel Klein. © 2014.Published by Harper. All Rights Reserved. MS. DIANE REHMThanks for joining us. I'm Diane Rehm. Joel Klein served as Chancellor of the New York Department of Education for eight years, a school system with more than a million students. Appointed my Mayor Michael Bloomberg, Klein oversaw a reform effort that led to measureable gains, but he was not without critics, most notably the city's powerful teachers' union. In a new book, Klein reflects on his successes and failures and offers a vision for the future of public education. MS. DIANE REHMHis book is titled, "Lessons of Hope: How to Fix Our Schools." Joel Klein joins me in the studio. You're welcome to be part of the program. Give us a call at 800-433-8850. Send us an email to drshow@wamu.org. Follow us on Facebook or send us a tweet. Good morning to you, sir. It's good to have you here. MR. JOEL KLEINGood to be here. Thank you very much, Diane. REHMYou open your book with the story of Robeson High School. Tell us what happened there. KLEINWell, what happened to Robeson, and Robeson was once a school that was full of hope, actually. And it started to go downhill in a steady way, and during my tenure, I'd been there many times, and I had gotten a sense that the place was increasingly chaotic. Then on this one day, I got a call and a kid had been stabbed, an honor school kid. And this really rocked me, partially because sort of violence inside a school like that was something that we saw rarely. KLEINWent out to the school, spent some time there talking to people, and had a sense of how frustrated and how defeatist it was. Not that there weren't good things, but that people were feeling even this could happen inside a school. Several years later, when I knew we were going to have to close Robeson, and closing a school is always controversial. But I knew that the school culture had so deteriorated, the graduation rate was perpetually low. The sense of frustration the teachers has were really completely filled the air. KLEINAnd when I knew that, one of the opportunities that came up, came up in the strangest way. I had met with the CEO of IBM and we had a lot to talk about. And one of the things he asked me was, are there things that IBM could be doing with your schools? This was when Sam Palmisano was CEO. And we talked about opening up a new kind of school, from ninth grade through 14th grade, mixing basically a two year community college with a four year high school. And I said, this would be the perfect thing to do. KLEINAnd we put it inside Robeson. And this school known as P-Tech became a national model. I mean, it almost took my breath away. After I left the Chancellorship, I was watching television and I heard the President talking during the State of the Union about P-Tech. So, this to me was the paradigm of a lesson of hope. A school that became a national beacon and a school that was so defeated and so frustrated in the same building. REHMNow, take us back to when Michael Bloomberg was first elected Mayor and gets control of the city schools. He asks you to take charge. You did not really have a background in education at the time. Why did you think you could take this job on? KLEINIt's a, it's a great question and obviously, I've thought about it a lot. I mean, it's a good question to ask the Mayor as well. But, from my point of view, I'd always had a passion and an interest in public education. I talk in the book about how literally it changed my own life, how teachers in Astoria, Queens really gave me the ability and the opportunity to live a life that was pretty unimaginable from where I grew up. And so I had that passion. When I was in D.C., living here and working for President Clinton, I did some work with Anthony Williams. KLEINAnd I was talking to him. He originally was going to get control of a few school boards. So I got interested and started to read about it and study. And then a mutual friend of the Mayor's and mine, Margaret Carlson, who was then writing for Time Magazine and was a friend of mine, she suggested to the mayor that if he wanted somebody who was a non-traditional, outside the box kind of a guy, who wouldn't be afraid of tackling a very entrenched, complex, politically driven monopoly like the school system, that I would be the guy. REHMSo, what was the condition of the public school system in New York in 2002, when you took it on? KLEINNot great. There were some really good schools and New York has always had some good schools. Mostly in upper middle class or middle class communities or gifted schools like Stuyvesant or Bronx Science. But probably the most powerful thing that struck me when I took it over was for the 10 years before we took over, the graduation rate was 45 percent. That's an amazingly appalling number. I mean, that means by pretty low standards, graduating from New York public high schools doesn't mean that you're climbing a high bar. KLEINAnd fewer than half the kids were graduating in four years. And it stayed that way for a decade. And the second thing that struck me was there was a complacency about that. That that was just assumed to be the way it was going to work and that we shouldn't get too agitated or concerned about it. And that struck me right from the beginning. So, the hardest thing for me was to start to try to create an environment, a climate, a culture, in which people thought, we've gotta do a whole lot better. KLEINWe can't have 45 percent of our kids graduate and try to get that to be the way the school system operated. And that was the biggest challenge we faced. REHMTell me about your own upbringing and the value your own family placed on education. KLEINSo, I was very fortunate, because in my family, while we were not an educated family, none of my -- neither of my parents had gone to college and certainly, they didn't put a high premium on intellectual pursuits. But they did value education. It was the classic story of the American dream. They wanted their children to live a life that they hadn't lived. And so, in my family, the message was stay attention -- pay attention and stay in school. I mean, if you ask my father, his greatest fear was that I might, at some point, drop out of high school or college. KLEINAnd so, that was the way I grew up. But the schools, and these were what I used to call plain old neighborhood schools in Astoria, Queens, those people really had an enormous impact and so my own life is driven by this passion that family is critical, but education is equally important, particularly if you don't grow up in a privileged family. REHMI fully agree with you that family is important. Education is important, equally important, but you were dealing with just the school system. Until you can affect families, how do you change the mentality of, well, if you want to drop out, drop out. Or the kid just drops out. KLEINThe way I look at it, there's a lot we need to do to change families, I mean, starting with prenatal care. We've gotta get these kids in school a lot earlier. Why we wait until Kindergarten, I don't know, particularly kids who grow up in challenged environments, complicated families. And I wish I could wave a wand and say to every family, have the values of education, get behind all of that. But, you know, the parents send us the best kids they have. And we have got to do a job for those kids. KLEINThe one thing I know, and why I call this book "Lessons of Hope" is because I saw the same kind of kid in a different school getting very different results. The power of teaching is, to me, the magic ingredient. And if a kid connects up with teachers and starts to get passionate about learning, that's a process that I think can redeem a kid from the most challenged and troubling environment. REHMSo, talk about the fact that you closed down more than 100, what you called, failing schools. And the absolute outrage that erupted. KLEINWell, it was Astoria and Robeson we started with, and you can understand. When you close a school, there are at least three or four groups that are going to get agitated. People who went there, you know, that's my school and you're going to close it. So, it starts with that. Then second of all, the kids who are there, even though you don't -- you phase it out. You don't close it is the way we did it. So they would complete the school, but still, to be part of something called quote, a failing school, those kids will react negatively and their families often will. KLEINAnd then, of course, the teachers, because they've been teaching there and now you're saying to them, you've got to find a job someplace else. And their union is not shy about speaking about those things. So those constituencies would demonstrate and carry on. Sometimes they sued us. I mean, it was part and parcel. But at least for us, and I was convinced of this, that sometimes you need a new beginning. We had schools in New York, high schools, with 3,000 kids, most of whom were failing when they got there. KLEINYears behind. And so we would break up that school into six or seven 400 kid schools. Much more personal. Each one of those schools had a community partner. Could be like the Aegis Society or the College Board would partner up with us and give us the supports and the help that the kids need. It was a very different model. And the great thing now, now it's been years since we did this, there's been independent studies showing real results from this practice. But you could understand why shutting down a school in a community causes enormous emotional strife and stress, and you gotta be prepared for it. REHMI'll bet. I'll bet. From teachers and from parents and from those school students. KLEIN...exactly. But the interesting thing was for those families who lived in a community, and we told them we were opening up new schools like P-Tech and other new small schools, they were thrilled by that. REHMJoel Klein. He served as Chancellor of the New York City Department of Education from 2002 to 2011. His new book is titled, "Lessons of Hope: How to Fix Our Schools." REHMIf you've just joined us, Joel Klein is with me. He served as chancellor of the New York City Department of Education from 2002 to 2011. He is currently an executive vice-president of News Corp. and CEO of Amplify, the company's education division. And I'm going to want to talk to you about that because there is a little news on that. But first, I want to ask you why you write that the school systems in America are government-run monopolies. KLEINI write that because that's what they are. And essentially my own view is we've got to bring real choice in competition into the system. When I say a government-run monopoly, when I took up New York City public schools, there were somewhere around 1250 schools, virtually all of them operated by the bureaucracy, controlled by the bureaucracy in a very top-down manner and fashion. And my background convinced me that that was not an effective way to go. KLEINAnd so one of the things that we did was to really empower principals and create much, much more discretion for them in their operation. I'm a big believer that what parents care about is the school. And in order for a school to be able to work, you need good leadership. And we opened up in New York which was pretty unprecedented under Mayor Bloomberg somewhere close to 180 new charter schools to literally create competition, something that's rarely done. KLEINWe did that because we thought two things would follow. Parents would get more involved. You know, people always talk about parental involvement in schools. Give people a choice. You'd be amazed at how involved they get with the schools. I talk to parents in our most high-poverty communities who would tell me, oh, I know the different between this kip school and this achievement-first school because they wanted a better school for their kids. And so that was part of our strategy. KLEINAnd the other part of our strategy was to really make sure the public schools were getting the kind of supports and the principals had the authority and the accountability they needed. And that's a big change that needs to happen, I think, across the country. You see it here in the district, for example, where you see people exercising choice all the time. REHMSo what about teachers unions and what about the issue of tenure? REHMThey didn't like you very much. KLEINYou know, I mean, they certainly opposed a lot of what I did. I won't disagree with that. I've always felt that I had a good personal relationship with Randi Weingarten who was the head of the union during most of my tenure. And I talk about it in the book. I have a lot of respect for Randi, but I think she has a different job from mine. Her job is to protect the members of her union and that may not always be in the best interest of the school system or the kids. KLEINSo when it comes to tenure, for example, tenure's a kind of thing that to me the way it's being administered doesn't make any sense. I mean, I talk in the book, it would take us on average -- to get rid of a teacher charged with repeated incidents of incompetence it would take us on average two-and-a-half years during which time we would be paying this teacher to sit in a rubber room. That's not right for the teacher and it's not right for the school system. But that went on over and over and over again. KLEINSo to me, you need to have a process that's fair to teachers, but within four to six months you should be done with that and they should either be back in the classroom or out of the system. And so those kind of rules make no sense. The other one, last in first out, when you have layoffs you have to -- you can have the best young new teacher imaginable that a school recruited was great. But if you have to have layoffs unfortunately, she's the first one to go. It makes no sense, Diane. REHMAre you in favor of getting totally rid of tenure in the classroom? REHMYou're not answering my question. KLEINIf tenure means a lifetime guarantee, I'm in favor of getting rid of it. If tenure means a reasonable process, the four to six months that in most situations I've observed outside of the school system, then I'm fine with that. But most people equate tenure with a lifetime guarantee of employment and I oppose that. REHMAnd you're saying in regard to this four to six months, what would happen, somebody is evaluated and challenged as not being effective in the classroom, someone who does have tenure, what would you do? KLEINYou bring in an independent person, not somebody that's selected by the union as part of an arbitration process. You bring in an independent administrative judge. He or she hears the two sides. The principal comes in, the documentation submitted and you say, why I think this is, you look at the record. Teacher comes in, she explains why she shouldn't be and a fair adjudication takes place. If that person is decided to remain in the system, the adjudicator says, we keep her in the system, put her back. If the adjudicator says, no, she's out of the system. But don't drag this out for two, three, four years. We had cases that went on interminably while we're paying the person not to work. It makes no sense. REHMOne would perhaps rightly say that teachers are paid so poorly that they ought to have tenure. KLEINI don't think that's the right way to think -- one thing I was proud of under Mayor Bloomberg during my years, we raised teacher salaries by almost 50 percent. Not enough but that was a big first step. Second of all, I think teachers should be paid well and differently. We're not paying teachers enough and we should pay them for the right things. And I'll come back to that. KLEINBut tenure is not a substitute because tenure affects kids. And what I mean by that is, there's nobody I know -- and every parent who's listening today will tell you, if their kid gets in a class for a year with a teacher who's just not up to the job, that's not fair to kids and that's not a solution. REHMWhy do -- how does a teacher who's not up to the job get hired in the first place? KLEINBecause in some schools in some communities you're just short teachers. We would have schools in high-poverty communities, we'd have 20 vacancies a year. And so they would literally, just whoever would show up, they would put them in the school. It's one of the great tragedies of public education, and that is our kids with the greatest needs, the kids which are most challenged families that you and I were talking about, they end up in schools that are often unstable and have a lot of young teachers and sometimes some experienced teachers who really may be coasting. And that mix is pretty combustible. KLEINCompare that -- when we had a vacancy on the upper east side in New York, you would get 2, 300 teachers apply for one vacancy. Entirely different. One of the real tragedies -- and we've got to be honest about this -- is the kids with the greatest needs are not getting a fair distribution of high-quality teachers or effective teachers. And that's really wrong. We promised kids in Brown versus Board of Education an equal educational opportunity. It's not happening. REHMSo last year a California court ruled that the state's tenure system hurt low-income students. I gather you support that ruling. KLEINI do. And the thing that amazed me about that ruling was the judge said that following the rules that were being applied in California literally shocked his conscience, which is strong words from a judge. REHMBut Governor Jerry Brown has appealed the decision. KLEINThat's his prerogative to appeal. He said, when he appealed it, not that he necessarily disagreed with it but he wanted to see what a higher court would say about it. And that seems to me to be reasonable. But whether it's through judicial action or other actions, lifetime job guarantees are not a solution for our kids. We need to create a model where the best teachers are the ones that are succeeding, being paid really well like we were talking about and become the heroes. KLEINYou know, people ask me the thing that I really would love to see most, I'd love to see teaching become the most respective profession in this country. To me there's nothing more important to the future. REHMBut we keep saying that and yet all over the country teachers are among the lowest paid in any profession out there. KLEINBecause we don't pay them in an intelligent way, we do this wrong. And we have got to pay teachers more but we've got to do it, not in a lockstep kind of way. We used to pay teachers in New York to take 10, 12 credits, anything they wanted. It had no value to us. We should pay teachers -- for example, math and science teachers. I was always short trained math and science teachers. We should be paying them a lot more to attract them but we've got to pay them all the same. And that makes no sense. REHMYou talk a lot in the book about Finland's education system and how it went from 40th in the world to now number 1 or 2. How did they do it? KLEINThey did it by doing two things we should do in America. One thing they did was change the way they educate their teachers. The ed. schools in America have got to change. I've talked to literally hundreds and hundreds of teachers about this. The ed. schools have got to focus a lot more on two things. One is subject matter. People who don't learn math are not going to be great at teaching math. KLEINThe other thing they've got to focus on is classroom practice. Our ed. schools are not doing that. In Finland they did that. They followed that by recruiting from the top of their college classes. And, you know, there's a union leader who used to be in this town, Sandra Feldman, and she said something I quote in the book which is, in America, for the longest time, we recruited from the bottom third of our college graduates. We've got to up the bar, pay more, attract good people and train them well. REHMBut don't you think there's a certain hypocrisy there? The country keeps saying, we need better educators, we need to find better ways to teach our children to keep them in school. And yet, teachers are once again among the lowest paid professionals and lowest regarded on the social status. KLEINSo I do think there's a certain hypocrisy there and I think it has to change. And I think we have to both pay teachers better and more intelligently. And we've got to raise the status. But one way to raise the status is to really make demanding requirements for entry into the profession to do the kind of thing they did in Finland. And another way to raise the status is to make ed. schools more demanding and more rigorous. REHMI want to ask you about Amplify, the for-profit education company that is owned by Rupert Murdoch's News Corp. It gathers, I understand, data on students, classrooms, how they operate. And you launched a multimillion dollar data collection system called ARIS that -- and News Corp. was paid, I gather, millions of dollars for that. And now New York has announced it's going to be replacing ARIS. And they, in announcing that, said they're going to -- they did not believe the system worked well. What do you say to that? KLEINIt wasn't my experience. When we launched ARIS I spent a lot of time with teachers, with families who were using it. What was ARIS about? It was simply a way to give people, teachers and parents, principals information about their students. And when I was there, literally hundreds of thousands of families would log on and find out, for example, that their children were having trouble with this aspect of reading or this aspect of math. REHMAnd you're listening to "The Diane Rehm Show." What is now being said is that the vast majority of families and the education department staff don't find it a valuable tool. What changed from when you were using it, pushing it to now? KLEINIt's hard for me to say because I wasn't there, Diane. But my guess is that the transparency about it, the knowledge about it decreased, that people weren't being advised. I would suspect if you surveyed parents when I was there and asked them if they knew about ARIS, they would say yes. If you surveyed them today I bet they don't even know about ARIS. So things move on. The system decided it wanted to change. KLEINBut all I can say is the basic idea of giving parents information about how their children are performing is absolutely essential. And ARIS became a national model. I remember when Arne Duncan the Secretary of Education came to New York to talk about it. It became part of President Obama's race to the top, these kind of data systems. So whatever else we do -- and I don't want to fight about this implementation or that implementation -- whatever else we do, give parents and teachers more information about their kids. That's a way for them to improve. REHMHere is an email -- let's see -- simply saying, "Is having publically-funded education in our cities that all people rich, poor and in between want to send their kids to possible or is it a pipedream?" KLEINI think it's possible. And I think you're seeing more and more of it happen. To me, when I started in New York, the main goal I had was increase the number of high-performing schools, and that we achieved. They're not all high performing but we can get there. I think that's happening in the district as we speak and elsewhere. So I think it's going to take some tough times and some kind of big changes, like I outline in the book. But I don't think it's a pipedream. KLEINAnd I always think it'll be constantly improving. You'll never get to the point where people are saying, wow, we're done. But I do think we can get consistently better and that's what any school system should strive for. REHMWhat do you think of the District of Columbia's school system under the prior Mayor Williams? KLEINI think under Tony Williams, he would be the first to admit that it was not working very well. That's when I said I got started by talking to me about possibly going on the school board. After that Adrian Fenty came in. I think he made some really important changes. And then I think Kaya Henderson is doing a terrific job here. And I think she's moving the system forward. She has the confidence of the last mayor and I believe of the current mayor. And that's the kind of stability -- one of the things that's amazing to me, in most school districts and person in my job or Kaya's job, they end up staying two, three years. And you can't do a damn thing in two or three years. KLEINOne of the good things about what Mayor Bloomberg did is we had eight-and-a-half years together to try to bring the kind of changes that I think the system needs. And one of the great things about Kaya now, she'll be going into her second term. And I hope she stays here for a decade. I think it would be great. REHMWhat about the prior head of public schools here? KLEINMichelle Rhee? I thought highly of Michelle Rhee. I think Michelle Rhee did a lot of good things and I think the city's seeing the benefits of it now. REHMJoel Klein and we're going to take a short break here as we continue talking about his new book. It's titled "Lessons of Hope." REHMAnd we're ready to open the phones. 800-433-8850. 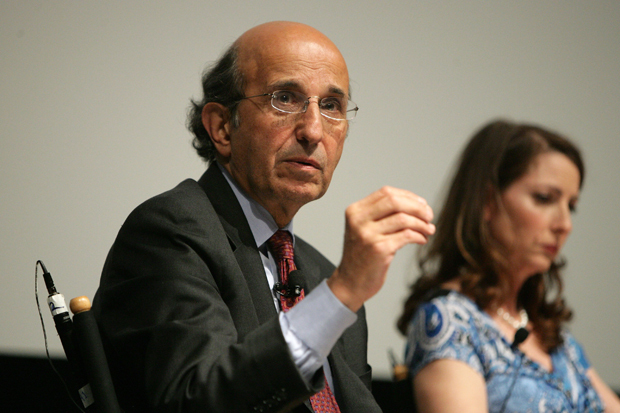 Your questions for former New York City School Chancellor Joel Klein. His new book is titled, Lessons of Hope." First to Joseph in Orlando, Florida. Hi there, you're on the air. JOSEPHGood morning. Thank you for taking my call. JOSEPHMr. Klein, it's a privilege speaking to you. I am a graduate of Brooklyn Technical High School. Graduate of the City University of New York where I received a Bachelor's Degree and a Master's Degree in the days when it was free of charge if you were able to qualify for those programs. Hopefully, I think we should return to that. Colin Powell graduated one year before me and many other distinguished people who would not have had an opportunity for education graduated from that system. JOSEPHI think we really need something like that for the entire country. Now, I worked 32 years in the New York City Board of Education. I left IBM to become a teacher. I have no regrets about that. Most of the people I worked with, the vast majority, were dedicated individuals, really concerned about the welfare of the children. However, of course, there were some individuals who were quote, unquote, incompetent. And I do agree with you, Mr. Klein, about the need for a revised system in order to more quickly take action on that type of individual. JOSEPHBut I think tenure is important for protecting teachers from, unfortunately, in my experience in the system, when I was there at least, some abuse of administrators. And that's an unfortunate scenario. And maybe it's changed since I left, but I think the union definitely balances the entire situation and is necessary. And tenure, to some degree, is necessary also. REHMAll right. Thanks for your call. JOSEPHSo, thank you for that, and thank you for teaching. And I get -- let me say it like this, I think there are abuse of administrators. I saw them when I was working in New York. And I think the same rules should apply to them, that we should have quick and effective hearings. And if they are abusing teachers, let's get rid of them. No teacher wants to work in a school with ham handed principal or somebody who tries to dictate how a school should run. I think schools are collective enterprises and I'm going to agree with you. KLEINWe should have fair rules on both sides of the equation, but not lifetime tenure for both groups of people, which is what most school systems have now. REHMAll right, to Steve in Richmond, Illinois. Hi there, you're on the air. STEVEI was an industrial tech teacher and I enjoyed it, not just because of the wide variety of subjects that I was trying to teach, but because I saw it as a way of reinforcing across the curriculum. I teach small engines and we'd be looking at volume of the cylinders. And I could go next door to the Geometry teacher and I'd have kids who couldn't get it in Geometry. But when they saw its application and how they could use it, all of a sudden, you see all the lights go on. One of the things that I've seen repeatedly in all the schools, especially in America. STEVEI started teaching in the Peace Corps in Botswana. We have gone the way of the medical field where we're so specialized that, and I need Mr. Klein's, you know, response to this. Do you think that we've gone to a point where we're so specialized now that the kids cannot make a cross relationship between things. Because I've seen this where kids are so focused on Math in period one, History in period two. And they're not, they're not seeing where things are interrelated anymore. KLEINIt's an important point, Steve. And what you're talking about in terms of applied learning is something that we need to see a lot more of in our education system. I think the kind of bringing together of different skills through the application to real world projects is key. You know, I've seen a lot of good schools do a lot of it. REHMBut that means retraining teachers, doesn't it? KLEINIt means some retraining on teachers, but again, that goes back what our ed schools are doing. You know, people are going to education schools and spending, I think, a lot of time on things that are not critical for the classroom. KLEINLike, like, for example, a lot of times, studying things about pedagogy that I think have value, but not to the exclusion of trying to think about how you apply Math to the kind of challenges Steve's talking about. REHMAll right. To Doug in Blue Ridge, Texas. Hi there. You're on the air. DOUGHi. Thank you, Diane. Thank you so much. I've listened to you for years. DOUGAnd I feel like I'm at the seat of a great teacher every time I hear you. DOUGI love your voice. You're very clear in a thoughtful way that you speak. And that brings me to my point. I've been teaching for 35 years. I'm teaching as a kid. I taught swimming lessons with my mom and I think that we've missed a big point in education, and that is what do our students actually produce and achieve? It's one thing to measure a kid on a particular day that maybe they have gotten a multiple choice test that one of the publishers has published in advance and come in and make an A.
DOUGBut if I was to give, say Diane, a letter grade that reflects her talent, first of all, how would I do that? Secondly, let's just say Diane wasn't all that good in Algebra. Or maybe she wasn't that good in French either. Does she deserve to fail? Does she deserve to put into specialized remedial classes, but she's got a great talent. REHMI want you to know that I did take a college Algebra course and managed to get an A. I never studied French. Go ahead. KLEINWell, my answer to this is we need to certainly have better assessments, but if a kid doesn't master certain basic things, Doug, then I think we have a problem. I knew so many kids in third grade New York who couldn't read. And what are they going to do in fourth or fifth grade? So, it's not a question about labeling them a failure. It's about getting them the help they need to be able to move forward. One of the things that always amazed me is how many kids got to eighth and ninth grade, three, four, five years behind. KLEINAnd you knew those kids were going to drop out, because they didn't have any future. So, we have to have meaningful assessment and ways to know what a kid knows. Second point you make, I 100 percent agree with. No matter what a kid is struggling with, there are often areas where he or she excels and we've got to strengthen and support that kid at the same time that we make sure she gets the help she needs. REHMYou know what, I have to tell you that I'm one of those people who learns best by a one on one conversation. I hate lectures. After about three minutes, I get very antsy, so I avoid lectures. It seems to me that arriving at a system of teaching which allows a child that close sort of small group conversation back and forth is a way to approach teaching that can make a huge difference. KLEINI think that's right. And in the book, I write about a thing we demonstrate in New York called The School of One. In which, actually, what we found is while some people like you like the one on one in a small group, we found other kids who were being tutored, for example, by, on a computer, by somebody from Mumbai, and the kid was just eating it up. KLEINAnd we can have different strokes for different folks. Because not everybody learns in the same way, and not everybody moves at the same pace. REHMAnd that's why evaluating how well a student is doing at Math may not be taking into account how well or in what ways that student learns. And what we need to find out is the various ways in which students learn and address them in that way. KLEINI couldn't agree with you more. I think that's -- one of the things that gives me hope is that we're learning more and more about the way the brain functions and more and more about different learning styles. We need to move toward what's called competency based, not time based. Senator Cory Booker put it best. He said, we now keep time constant and outcomes vary. We should keep outcomes constant and let time vary. Different kids move in different ways and need different application. REHMHere is a question about charter schools, which you're big on, for the most part. KLEINI am big on the ones that do well. REHMOkay. And this is from Laura. She's in Liberty Township, Ohio. She says, I don't understand how such smart people can just overlook the obvious data regarding charter schools, especially in Ohio, where the majority of charters receive D and F ratings on the state report card. Governor Kasich is planning to divert nearly one billion dollars away from public schools next year in order to fund charters that don't perform, are not accountable, have ridiculously low graduation rates, and do nothing but allow the owners of these charters to make enormous profits. It's a joke. School choice is not working in our state. KLEINWell, she's right about this, that there's no reason to support a charter school if it's no good. When you say I support charters, I support good schools, and I think parents do. I think this argument about whether it's PS-11 or Charter School 11 is an argument that politicians and other people care about, but parents want a good school. In New York, we had 20,000 charter seats. 80,000 families applied. That speaks volumes. And when she says people are diverting money, the money belongs to our children. KLEINThe money doesn't belong to the building. The kid needs an education, the money should follow that child. And if a family wants a charter school, whether it's a kip school or an uncommon school or an achievement first school, that should be the choice of the family. REHMBut why should that charter school stand out? I mean, why isn't that money going directly into making a public school in that same area equally good? KLEINThe money has gone to the public school, but we need to create the family options. So, you think about this. Middle class families, they move to a good neighborhood, because they want their kids to have a good school. KLEINIf they don’t have a good school, they'll send them to a private school. Why should poor families be told, you have only one choice. In New York now, in Harlem, in central Brooklyn, those families have a multitude of choices. And what you're seeing is the real excitement of the families in choosing. You see the same thing here in D.C. You see it in Boston. And all the studies show that charters in New York, D.C., Boston, are doing a really good job. REHMAnd you're listening to "The Diane Rehm Show." Here's an email from Barbara who says, your guest said tenure is not the answer, but my response is that tenure is not the problem. Nor are teachers the problem. These are red herrings and easy targets. The real problem is lack of support for education in the homes and poverty. KLEINI don't think it's an either/or. I agree with your email that it's certainly -- we need greater support in the homes and certainly, poverty makes educating a kid a lot more difficult. But I will say again, I've seen the same kid in different schools with very different outcomes. And when those kids who come from poverty families with challenged backgrounds, they should be our first priority. And nobody thinks that they're getting a fair shot at a great education. REHMAll right. Let's go to Diana in West Olive, Michigan. Hi, you're on the air. DIANAHi Diane. Hello, Chancellor Klein. I've been listening this hour, and want to know that I've taught in Illinois and New York and Minnesota and was involved for a long time with the Chicago School Reform Movement in Chicago. What disturbs me is that we have not really been talking about the subtitle of your book, "How to Fix Our Schools." It is a red herring to bring up charter schools and to bring up tenure. And there is a vast storehouse of research that's been done on what makes a really good school. DIANAIt starts with a principal who is an academic leader. It includes teachers who cooperate with each other, who help each other out and who believe and want the kids to know the minute they walk in the door, this is a serious place. This is a place where your job is learning and our job is teaching. It also gets, and I agree with you here, must include parental involvement. But that can be accomplished at public schools, as well as at charter schools. And it is a place where the administration, which I know is always a problem in big city schools, is supportive of the school and the principal. DIANAIn Edmonton, Canada, for example, principals and administrators rotate so that the person who's in the school one year, in a few years, may be in the position of the administrator, who is asking himself or herself, daily, well, what can I do to help the schools? KLEINI think -- first of all, Edmonton is a terrific model. Second of all, I agree with the caller that the basic ingredients. One more that I would add is a great knowledge based curriculum. E.D. Hirsch at the University of Virginia and his work on core knowledge, I hope every listener goes out and reads what Hirsch has written because we're not teaching our kids the basic knowledge that they will need to be informed citizens and also to be great readers. And the final point that the listener says, I want to be clear about. KLEINIt's not to me charter versus traditional public. It's good school versus not so good school. And every parent I know wants to have that choice. And if your neighborhood school is not a great one, you want the option. And that's what I think will help fix our schools, by creating the options that parents want, not protecting schools that are not functioning well. REHMJoel Klein. He served as Chancellor of the New York City Department of Education from 2002 to 2011. He's currently an executive Vice-President at News Corps and CEO of Amplify, the company's education division. He is the author of a new book. It's got a big, red delicious apple on the front. It's titled, "Lessons of Hope: How to Fix Our Schools." Thanks for being here. KLEINThank you. I loved it. REHMGood. And thanks for listening, all. I'm Diane Rehm.